A Special Sparkle: Contact Us! Do you have questions? Thoughts? Ideas? Please email us using the box below! 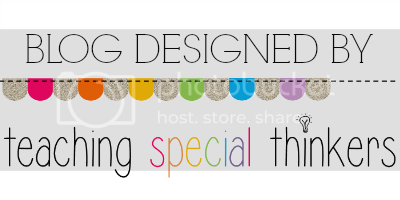 This blog is designed to be the best of special education blogs all in one place! Our authors have a wide variety of experience in special education and are excited to share their knowledge. We have experts in many areas such as autism, learning disabilities, and so much more! We are here to share our best resources and help you with your questions about special education! Tracking student progress without the daunting paperwork! A Special Sparkle is Back and Better Than Ever! !